A. Call your flood insurance company and file a claim, preferably before August 31st, when the flood settlement rates go down. A. Call your homeowner's insurance company or your mortgage company. They can tell you how to contact your flood insurance company. A. No - Do detailed phone interviews Interview with local remodelers now, pick one and ask to get on his or her list. An accurate estimate for repairs cannot be given until the tearout/dryout stages are complete. A. If you can cut the carpet into small pieces and lug it out to the curb yourself, do so. Same with soggy furniture pieces, clothing and items you can manage. Do not remove the sheetrock and insulation yourself. Why? You may remove more than is necessary and this adds cost to the build-back. Also, handling these materials will put your skin in too much contact with the toxic floodwater. This water wicks up into the insulation in your outside walls. If the mold has started to appear inside or outside the walls, use of a respirator mask (a real one, not the paper ones) and gloves are a must. If you cannot manage to do this removal work on your own, keep the A/C running as cold as possible and wait for the remediation company. Tip: Call the larger churches in town - sometimes they have volunteer teams who can remove the wet stuff from your home for free. Your home's central air conditioning system can reduce the humidity level to about 45%. This is not enough to dry out wet surfaces such as the slab and lower walls. It just helps. The dehumidification machines the pros use, reduce humidity levels to 15% to 17%. Q. Is my homeowner's insurance going to pay for any of this? A. No. Not unless there is non-flood related damage - such as structural or roof damage. If flood water rose from below and that water also actively flowed through your home, there may be structural damage to the framing. You will have to hire an engineer to prove the cause of the damage, as insurance companies these days are fighting to deny coverage wherever they can. A. Ask your homeowners insurance agent for a list of names. Calling a company you find on Google may be OK if it is a recognizable name. Always check to see if they are members of the BBB and check their reviews on Google before signing a contract. Also, ask to have their general liability insurance company email you a copy of their "insurance certificate" with your name placed as the loss payee at the bottom left. If they can't do this, pass them by. A. If the water reached your outlets, typically at about 14" off the floor, they all need to be replaced. Same with switches. A licensed electrician should look over your system after a flood, including the wiring, all devices, and breaker box, for any sign of damage. Unless your wiring shows signs of damage, it usually does not need to be replaced. My clients will often update the wiring by adding grounded wire while the walls are open. Q. I have men coming to my door offering to remove the carpet and sheetrock? How do I know if they are Pro's? Should I hire them? What questions should I ask? Q. The remediators I am using want most of the money up front. I don't want to lose them. What should I do? A. Most pros are going to bill the insurance company so you don't have to worry about paying them. If you hire a non-pro, be very careful. If you are self-paying, do not pay more than 10% up front. These guys do not need "materials money" to do tear-out and remediation. They should be using equipment the already have. Further, the bulk of the work takes place in less than a week. Then there are only dehumidifying machines running for a few days after that. Ask to pay on completion. If they are unwilling, offer 40% when the drywall has been removed and mildewcide applied. Pay the final 50% on completion, which is when the home has been checked with a moisture meter and determined to be dry. This testing should be done when the remediator when the fans and dehumidifiers are being removed. Your home should be swept clean by the remediators, and all trash hauled off or place out front of the home before you released the final payment. Q. What is the proper procedure for effective, professional remediation? After photographing it all, remove: wet flooring ((including the "screeds" or strips of wood under wood floors), furniture, clothing, appliances that sit on the floor, and cabinets if the water rose above 3". Install and monitor commercial dehumidifiers - at least 3, for homes 2000 feet or less. Install high velocity air mover floor fans - at least 6 for homes 2000 feet or less. Q. Will my flood insurance pay for all the remediation costs? A. Usually, but not always. Flood insurance allows reimbursement for a certain set of activities, but some will not be covered. For example, removal and replacement of your kitchen and bath countertops is not covered, even though removal of your soggy lower cabinets is covered! Q. Will my flood insurance pay for all the cost to put my home back together? A. Unfortunately, no. The sad reality is that flood insurance will only pay about 50% of the real cost to restore your home. That means you will have to pay the rest out of pocket. If you don't have the cash, you will have to borrow it. You may decide to sell the home after the remediation. Q. I can't afford to repair my home. Should I walk away without doing the remediation and sell it as is? A. No. You must remove all the wet surface and dry out the home, or it will turn into an old farm and severely hurt the market value, even if you think it is a tear-down. Q. Do I need to pull City permits? Q. How does the Model Energy Code affect my whole-house restoration? A. The City of Houston, Bellaire, the Villages and many local jurisdictions have adopted the Model Energy Code. This Code adds a lot of extra requirement. Q. What questions should I ask to screen out bad contractors? What are the red flags? Are they members of a professional trade organization, such as the Greater Houston Builders Association (www.GHBA.org, 281-970-8970) or the National Association of the Remodeling industry www.NARIHouston.com . Are they BBB members and are listed there when you search www.BBBhou.org . Check their rating. If you search on the BBB site and they don't show up at all, that is a red flag. If they have no reviews (Google, Yelp, Houzz, etc. ), that is a red flag. Pass them by. All legit contractor have at least these trappings of professionalism. Q. The remediation crew is going to be working all over my home at once. How do I protect my valuables? A. On regular remodels, you can change the locks on one bedroom door and keep your jewelry, guns, cash and expensive collectibles in there. Not so with flood remediation. The best idea is to box those items up and take them to the home of a family member or friend until your home is repaired. Do this before the remediators get there. I heard several stories of big-name remediation crews who stole jewelry and cash while onsite doing the remediation. Q. Is my mortgage company involved in this? A. Yes. If you have a mortgage, your flood insurance company will probably mail you a check (or series of checks) that require both your signature and the mortgage company's sign-off. Often the mortgage company is slow to cut checks during the work. Contractors cannot wait weeks to get paid as they typically pay their workers every week. You may be asked to pay for work as it progresses and get reimbursed when the check arrives later. Q. What do I do after I get the house dried out? A. Unfortunately, the remediation companies do not do a very good job of the re-construction. My company has been called to undo and re-do unacceptably poor workmanship done by the same companies who did the remediation. Try to find a professional residential local remodeling contractor If you can find one with a national certification in remodeling, your chances of having a good experience are even higher. Use the trade organization web sites listed above, and call contractor's references before you have the contractor come out to your home. Q. What questions should I ask when I call a contractor's references? What were the workmen like? How comfortable were you having them in your home? Were they friendly and polite, or were some "sketchy"? Did they have a fixed place of business or did they "work out of the back of their truck"? These are just a few of the questions my clients have been asking me as they deal with the overwhelming task of dealing with their newly flooded homes. More to come. 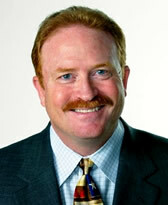 Daniel D. Bawden, GMB, CAPS, CGR, CGP, JD, has over 35 years of experience in the Construction Industry. He is a Graduate Master Builder, Certified Graduate Remodeler, Certified Aging in Place Specialist, and a Certified Green Building Professional. Mr. Bawden serves as an accredited Instructor for the National Association of Home Builders, certifying other builders in his own specialties. He earned both his Bachelor's degree and Law degree from Baylor University. He is currently serving as Vice Chair of the NAHB Remodelers Council, on track to be the national spokesman for the remodeling industry in 2017.